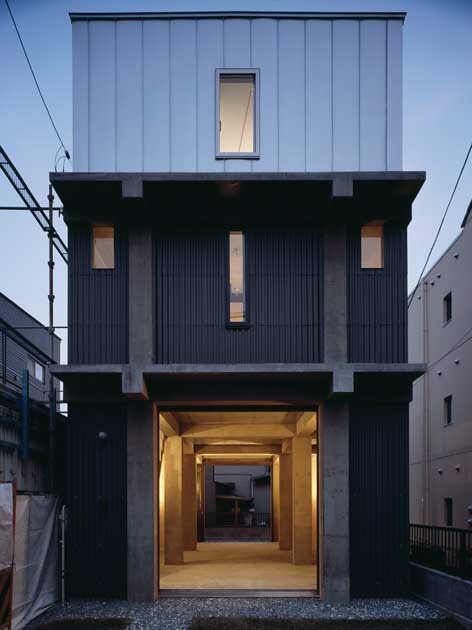 “Column and slab” is the third residential work by these contemporary Japanese architects. The surroundings are similar to that of the previous two residential projects, “e-house” and “s-house”, which were located in Tokyo. This architectural firm is located in Japan – a Tokyo Design Office. This contemporary Tokyo architecture office was founded in 2003 by Katsuya Fukushima and Hiroko Tominaga. The Tokyo architecture firm we are interested in things that have contradicting 2-sidedness, such as engineering and aesthetics. November 30, 2009 in Architects.